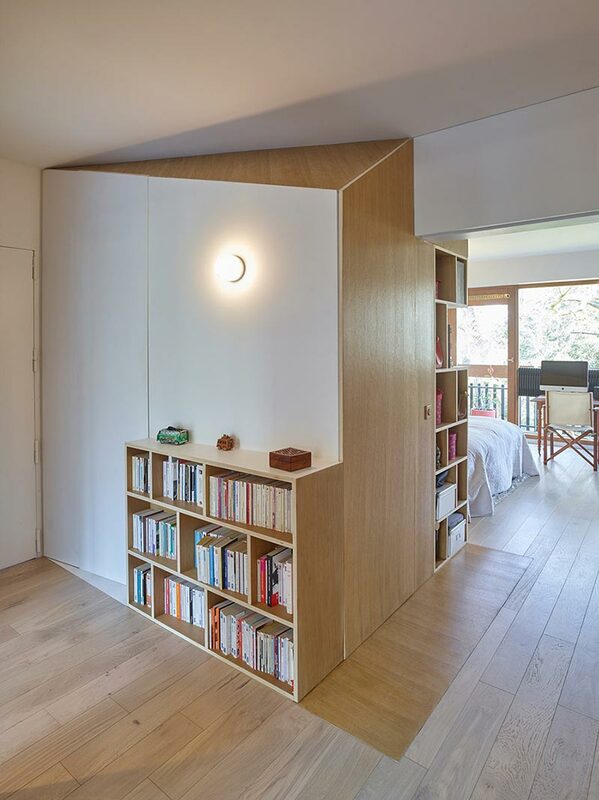 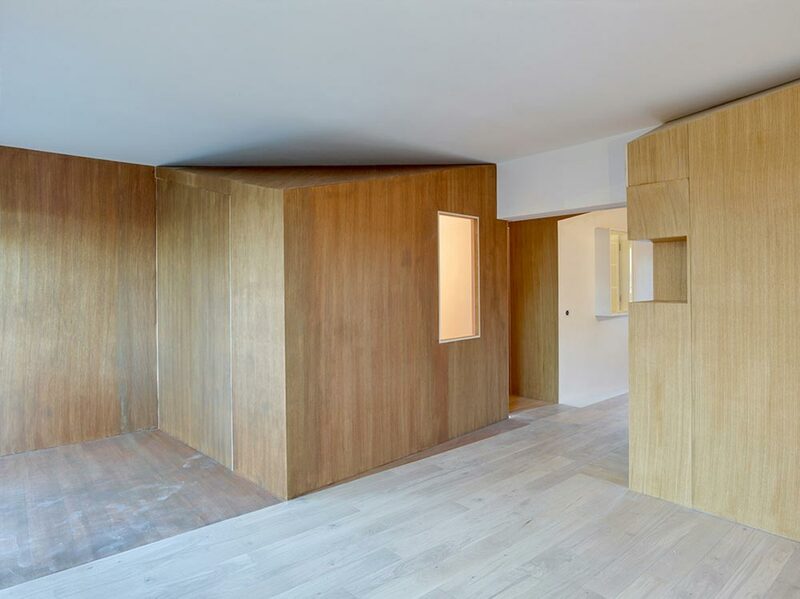 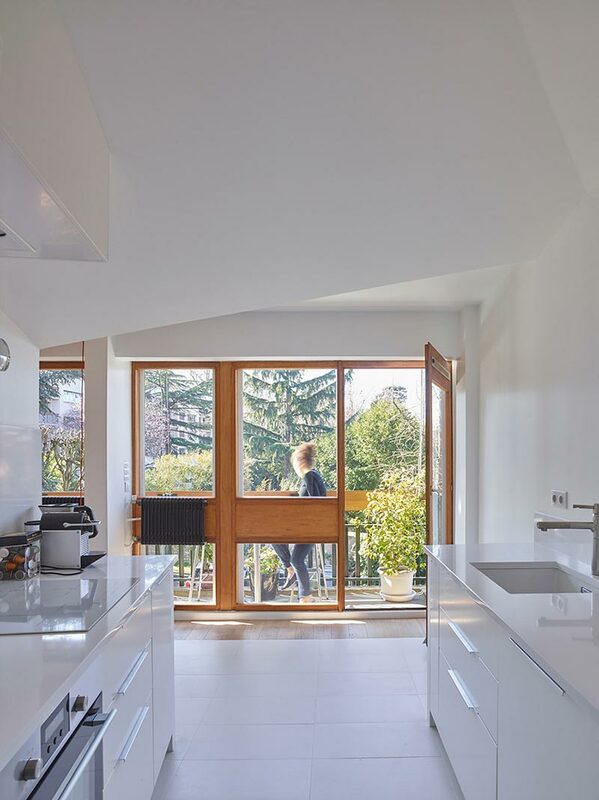 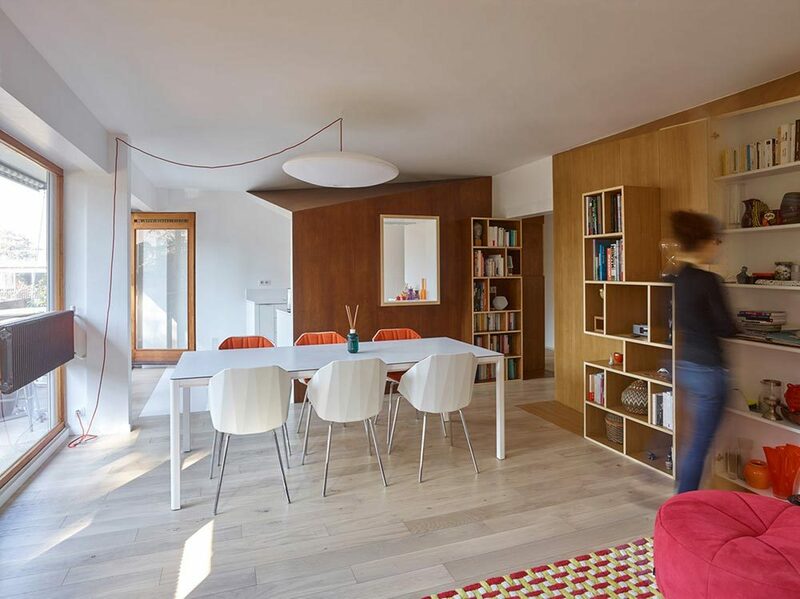 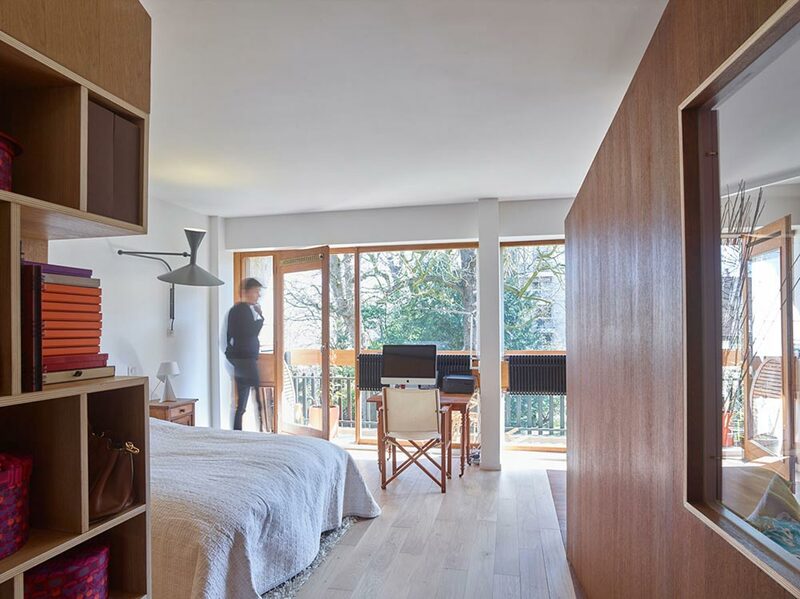 This mid-century complex, in the southern suburbs of Paris, is a haven of wood walls, partitions and built-in cubbies within an open and comfortable setting. 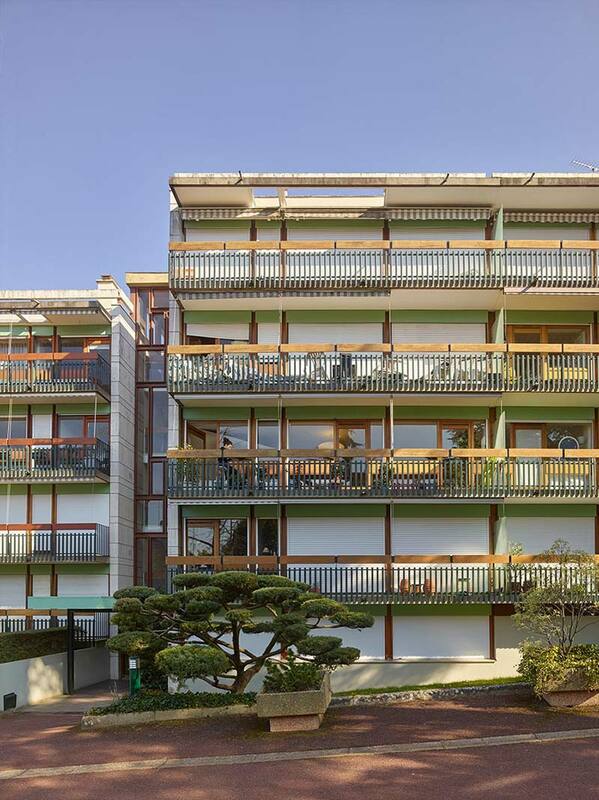 As a 1960’s original, this concrete apartment complex went unchanged since its original construction. 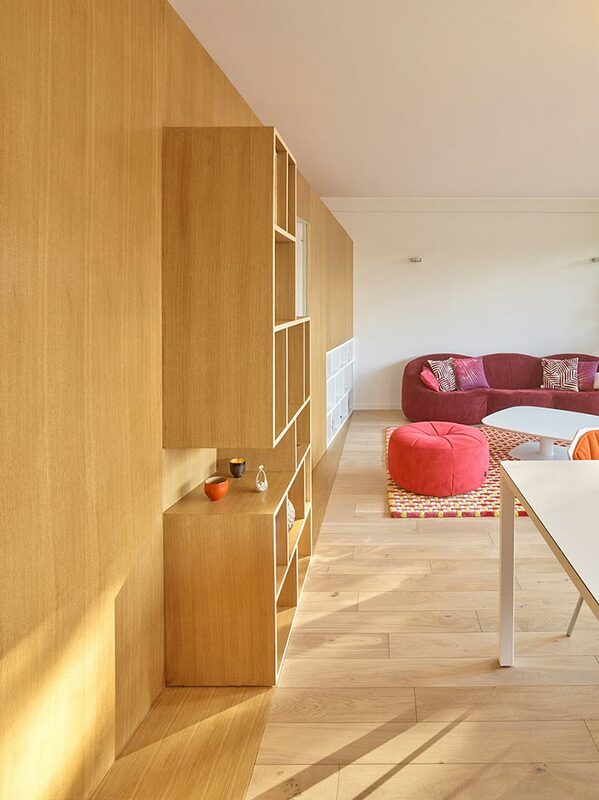 Although, the style of that day lent itself to wide-open spaces, which parled nicely into the newly refurbished distribution of space, and harmonized seamlessly with the materials used within this breezy space. 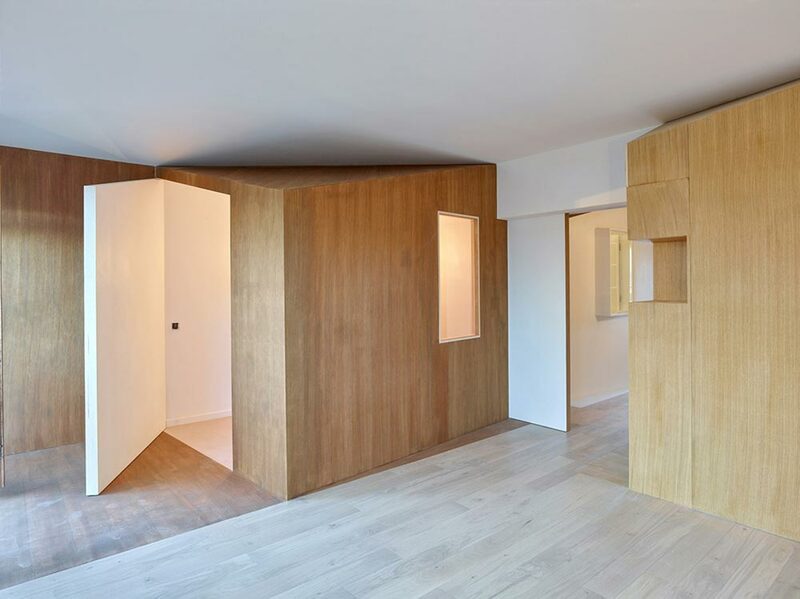 By choosing different wood grains and stains, h2o architectes created dimension within the space, and although the exterior had to remain unaltered – the window bays that came stock with elongated balconies maintain both natural lighting benefits, as well as a visual spatial arena these apartments effortlessly gain. 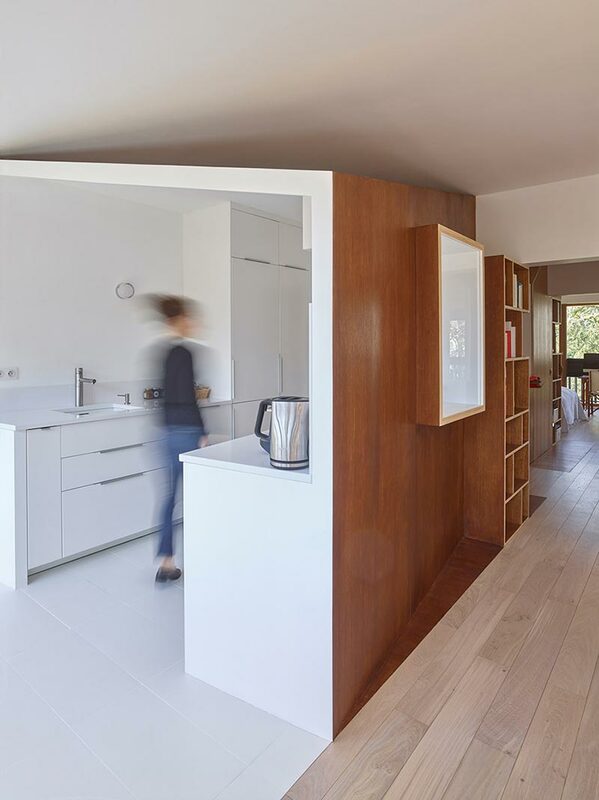 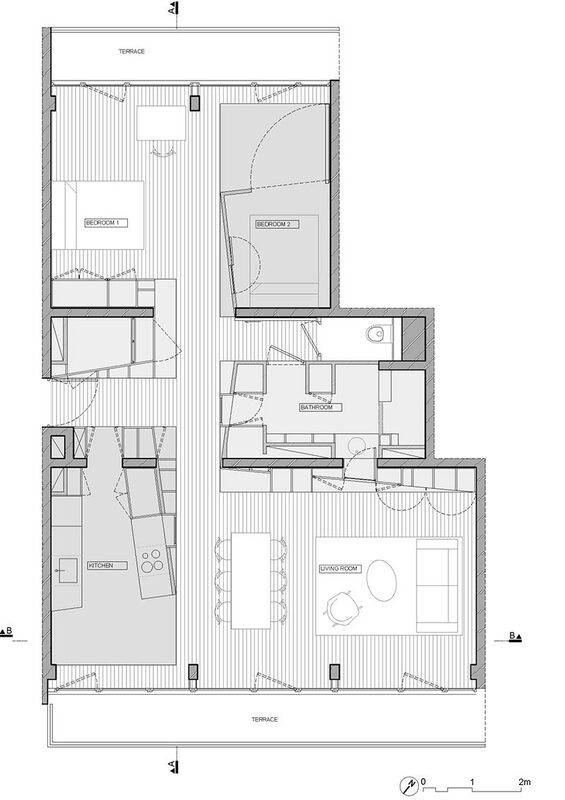 Sloping facades within the wooden walls add a certain understated yet intriguing flair to each room, and the ample cupboards and shelving options allow for stand-alone design elements, while offering storage as needed.